Here’s a beautiful 31' Bertram Flybridge with new fuel efficient 370 hp Cummins diesels (6 gph at 18 kts). The hull has recent paint…and the bottom was stripped and barrier coated in 2017. The cabin has fresh interior varnish, the electronics were updated in 2017 and 2018. As they say, this one is turn key! United Yacht Sales New Jersey would love to guide you through a personal showing of this 31' Bertram Flybridge Cruiser 1972. 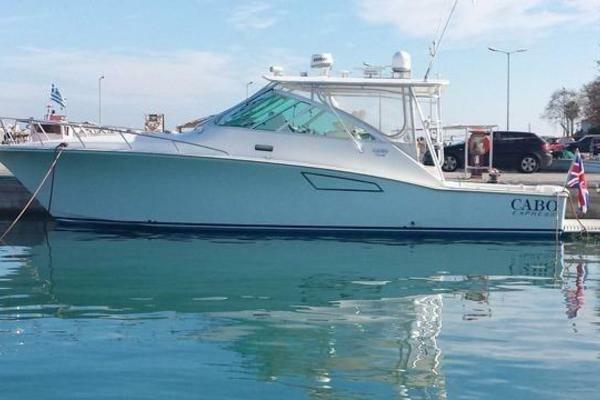 This yacht for sale is located in Onancock, Virginia and priced at $85,000. For a showing please contact us by filling out the form on this page and we will get back to you shortly! As you can see from this listing, this Bertram is well maintained and continuously upgraded. She is the original and traditional Ray Hunt deep-V design. Set up for serious fishing or casual cruising, she will not disappoint even the most discriminating buyer. Please call for an appointment.